SKU: WS256-9X12. Categories: Funny Signs, gaming/geekism, Novelty Signs, Political, Warning Signs. Tags: CIA Agent, Warning Signs. The CIA calls them Clandestine service operations officer but that’s an awfully long name to stick on a sign, and a little unwieldy. We think CIA Agent works just fine. It’s clear and to the point. 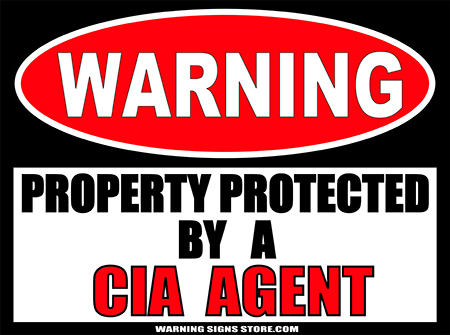 If your property is protected by a CIA Agent there’s a good chance that your property is safe.. but what if he or she is a double agent? 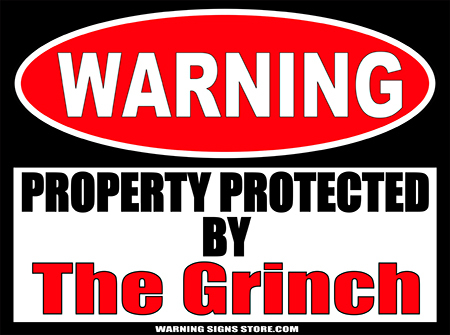 We suggest you keep an eye on the agent keeping an eye on your property! 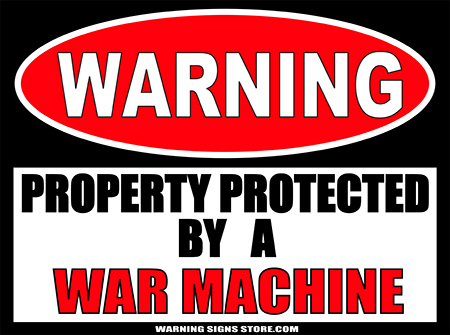 And in the meantime, keep intruders and guests away, lest they be spied upon, with our great Warning sign! This Property Protected by CIA Agent sticker measures out to approximately 9″ x 12″. It is printed in a glossy finish with eco-friendly inks on a premium vinyl polymer. Our inks are UV resistant and designed to last 7-10 years, indoors or out.